At Cane & Basket Supply Co., we not only supply the materials but also do the repairs. 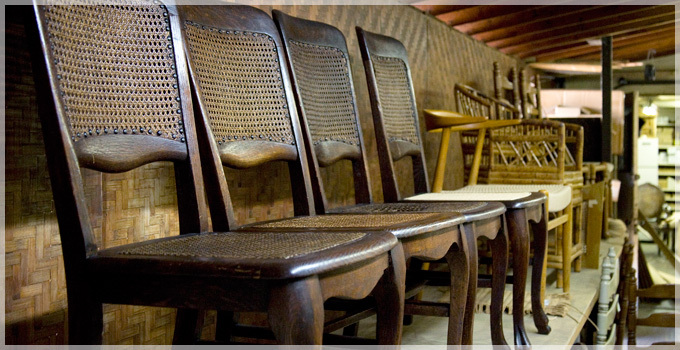 We do hand caning, blind caning, double panels, press cane, rush, splint and wicker repair. We also install cane on cabinet doors. Most of our caners have over 30 years experience. Come by anytime we are open for a free estimate, no appointments necessary. The work usually takes 10-14 days although some pieces can take longer.